Conveniently located on South Main Street next to the Pemi-Valley Laundry and Late Nite Pizza. There is ample off-street parking for all tenants. 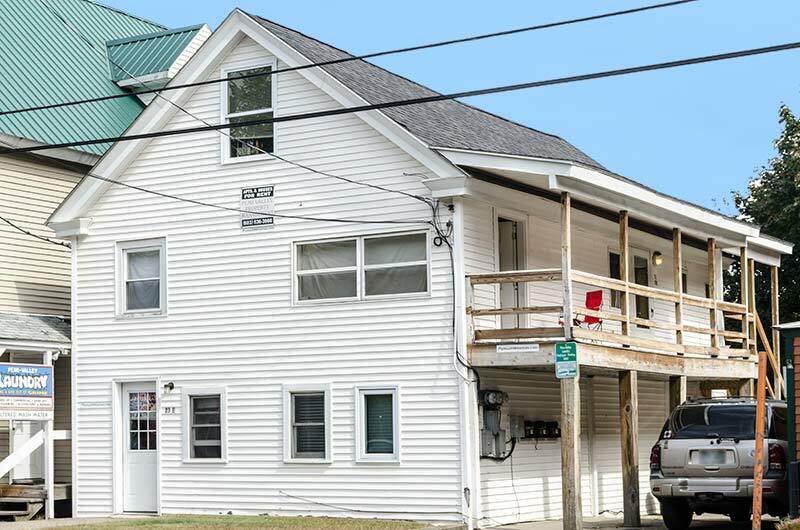 This building is a short walk to downtown Plymouth and PSU campus. Heat, hot water, water & sewer, electric, trash removal and snow plowing included. Plenty of off-street parking. First floor 1 bedroom unit. Large bedroom and large living room/kitchen area. Plenty of cabinet space. Large bedroom closet. Full sized oven and fridge.